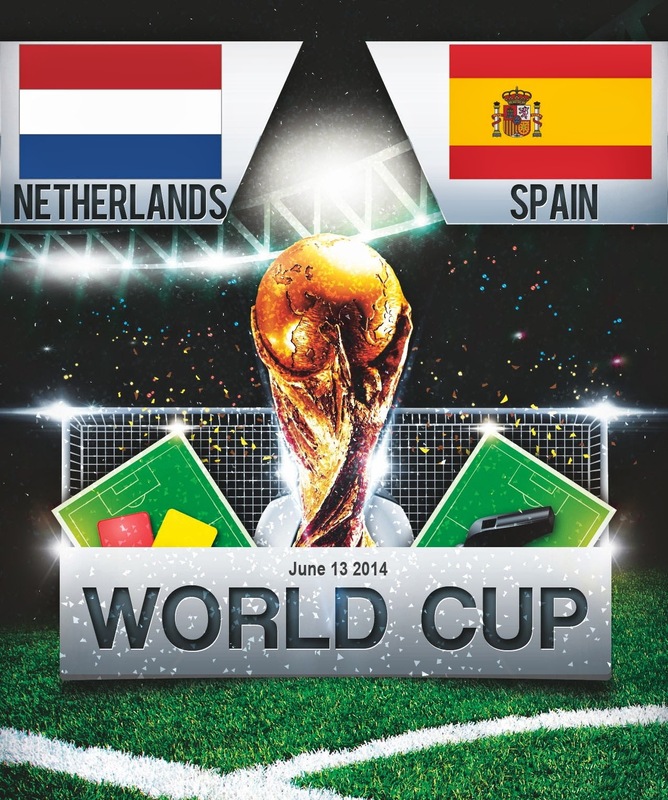 Spain will take on Netherlands/Holland in first high profile FIFA World Cup 2014 match, this is a crucial game for the 2010 finalists and the winner of this game will most probably be going to the next round. Both teams likes to play 4-3-3 formation, however Spanish system is bit flexible as they can change to modern 4-2-3-1 formation during the game. Diego Costa will be starting for Spain upfront while Silva and Iniesta will be playing just behind Costa. Xavi, Alonso and Cesc Fabregas might start in the midfield. 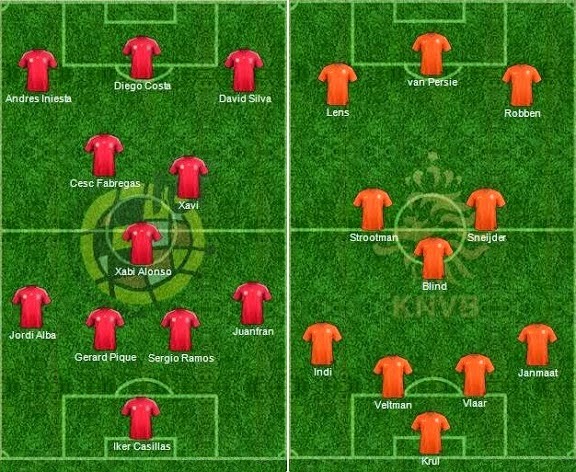 Holland on the other hand played with out and out 4-3-3 system which the dutch like to call “Total Football”. But going into the tournament they don't have a strong defense and their midfield is not something which can push Spain harder. This is the expected lineup for both teams. When both sides meet back in FIFA World Cup 2010 final, Netherlands/Holland went into the game slight favourites as all of their players were playing on top of their game. This time however the scenario is different, This dutch side is going through a transition and they have many new players specially at the back four. Defence has always been Netherlands/Holland’s weakness and although this is not the same Spanish side with power and venom in attack they do have players who can dictate the pace of the game. Holland has to be patient and try to catch Spain on the counter attacks and that is the only way Holland could get something out of this match. Spain are not playing the best football in the last 1 year a half and most of Spanish players has won everything so motivation might be a factor.